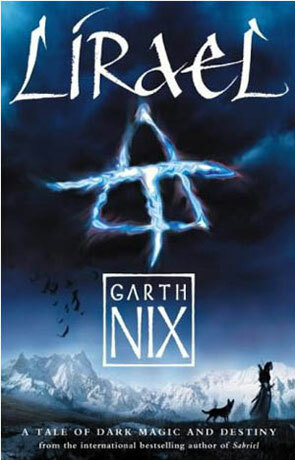 Lirael is a young adult fantasy novel written by Garth Nix and is the second volume in the Old Kingdom Series. The novel is split into three different parts with the first set 14 years after the events of Sabriel and the other two parts set 19 years after. Sabriel and Touchstone are married with two children, Ellimere and Smeth and the family are living in Ancelstierre before the children are expected to take up their duties in the old world. Lirael see's herself as an outcast in the world of the Clayr. Without her bithright of the sight, with her raven-black hair and her pale complexion she differs from those around her. On her fourteenth birthday she is given an appointment in the Library and as she works on her own in the forgotten corners of the vast mythical Library she begins to unravel the secret to an apparently predestined adventure of utmost importance. She also summons the Disreputable Dog, whom she befriends and who helps her in her explorations. Prince Sameth is uncertain he can meet the expectations of his parents to become an Abhorsen, or to live up to their reputation as Hero's of the realm, to make matters worse he is fears Death and is very reluctant to enter Death willingly? Every bit as good as the first novel, Garth Nix has again created a very enjoyable story with an accomplished mixture of humour and magic. Written on 28th September 2009 by Ant.